Drama tends to go hand-in-hand with teen life especially in the digital space, but students may not always be aware of when it crosses the line and becomes cyberbullying. 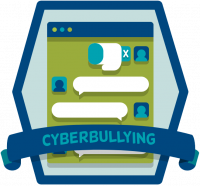 In this lesson students will learn what cyberbullying is and how they can deal with it in a positive way. 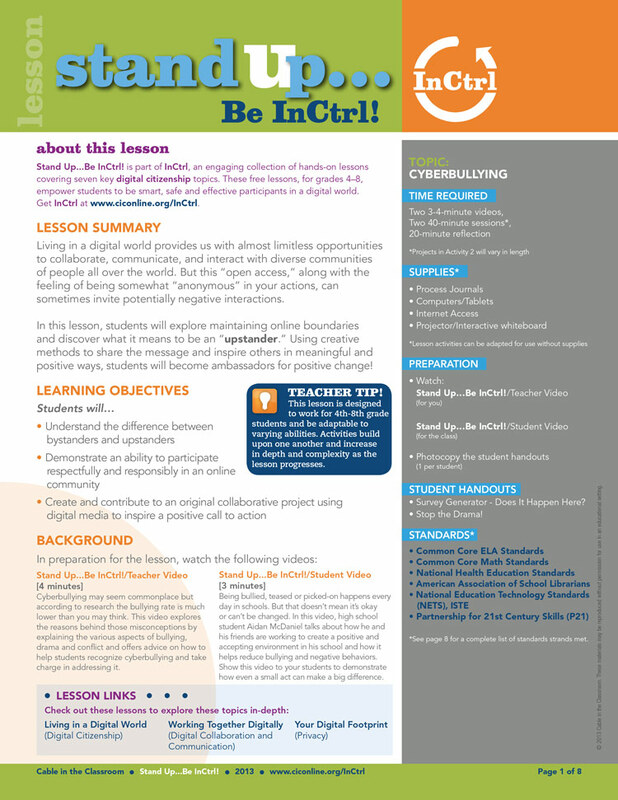 This lesson consists of two videos and a lesson plan. Cyberbullying may seem commonplace but according to research the bullying rate is much lower than you may think. This video explores the reasons behind those misconceptions by explaining the various aspects of bullying, drama and conflict and offers advice on how to help students recognize cyberbullying and take charge in addressing it. Being bullied, teased or picked-on happens every day in schools. But that doesn’t mean it’s okay or can’t be changed. In this video, high school student Aidan McDaniel talks about how he and his friends are working to create a positive and accepting environment in his school and how it helps reduce bullying and negative behaviors. Show this video to your students to demonstrate how even a small act can make a big difference.